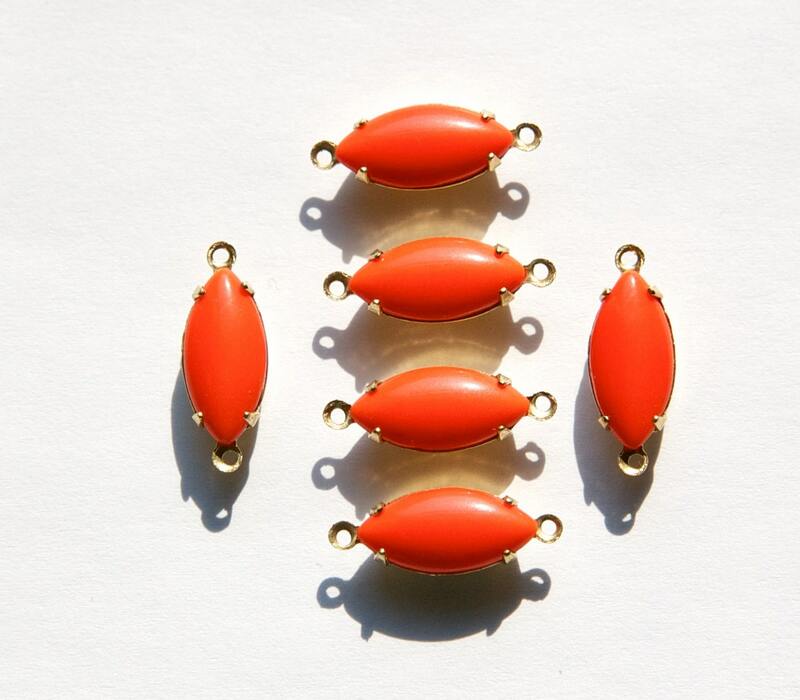 These are vintage orange glass stones. These are set a in two loop open back brass setting. The stones measure 15x7mm. You will receive 6 pieces. Great item and quick ship! A+! Lovely items & always superfast delivery, tx! Really beautiful and great quality. Great Seller and product! I am a repeat customer!! Beautiful fall color. Great item Fast shipping. Thanks.